There is a certain musicality that is to be considered when it comes to documentaries. Not being in a position where you are able to create precisely what you want, most documentaries would rely on footage found, interviews done and photos taken, amongst others. There are, of course, reenactments that may be done, but being a genre that deifies ‘truth’ over more fictionalised narratives, the tendency for many people has been to minimise that aspect of documentary filmmaking as much as possible. How, then, would you start to piece together a story? How would you find the rhythm, the flow that would lead to a more complete experience of the narrative? Green. The colour Pele likes the most. Maybe. 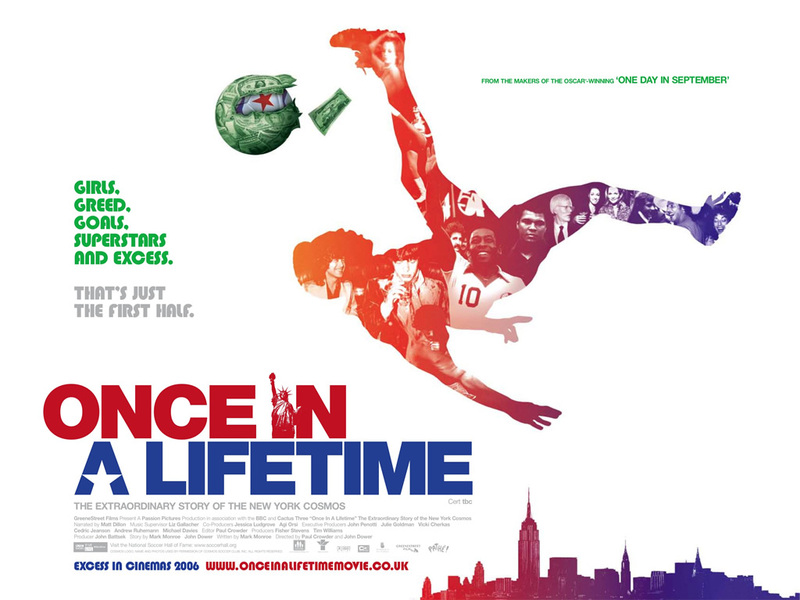 ‘Once In A Lifetime’ is a documentary that looks at the rise and rapid fall of the New Yorks Cosmos. At the same time, being a fairly comprehensively researched effort, it serves as an effort to also understand the reasons why the North American Soccer League failed to truly take off, despite having many of the necessary elements in place: corporate support, (casual) fan interest, and star power. 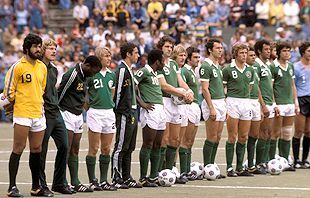 None of the football clubs in North America at the time came close to the New York Cosmos when it comes to all of them, though. 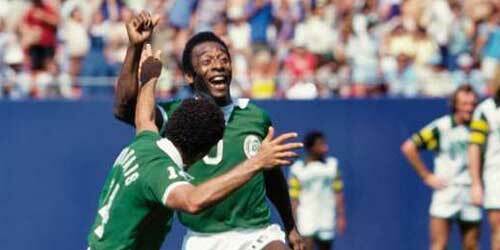 The Cosmos were the team Pele played for in America. The importance of this was hammered home when the then-Secretary of State, Henry Kissinger, intervened with the Brazilian government, and personally helped to convince Pele to make the move to New York. 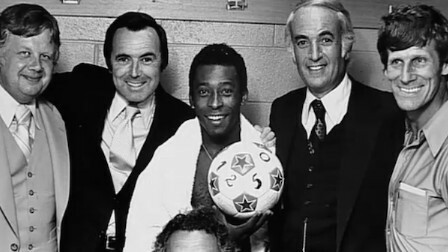 By then, of course, in 1975, Pele had retired. He was looking forward to retirement, and had enjoyed the iconic status that came not only with being arguably the best player in the world, but also doing all that with only one professional football club (and country, but that goes without saying). His legacy confirmed, he was given the chance to enlarge this legacy by Steve Ross, a Warner Communications executive and the founders of Atlantic Records, Ahmet and Nesuhi Ertegun. The chance to kick-start a major interest amongst the masses in America proved to be too alluring to resist, and so Pele made his way to North America. In many ways, this would be a move that would be replicated years later by David Beckham signing for the LA Galaxy. Moving beyond the etymological meanings and origins behind the names Cosmos and Galaxy, what this did was to prove how important celebrity power was and still is. The difference between then and now is that, structurally at least, we are a lot more open when it comes to admitting a certain level of interest in all aspects of celebrity (including the more unsavoury ones). Many people forget that the Cosmos actually did exist prior to the whole circus coming to town. In this documentary, more light is shed on their ramshackle existence back then. Playing not particularly well in front of crowds not particularly big, I was made aware of just how derelict and desperate things must have been at the time. Interviews were conducted with people who were with the Cosmos right from the very beginning, and the addition of rare footage and pictures helps to set the mood and paint a more honest picture of how it went down. These footage were also inclusive of so many different people who had such different views on things. Why? Well, when you’re involved with one of the most famous sporting and cultural events in history, you’re bound to want to stick your finger in the pie, right? It is therefore of no surprise whatsoever when we see a variety of different parties trying to lay claim to the signing of Pele. Who came up with the idea? Who got there first? Who truly convinced him not only to sign, but also to stay? Through this mess of confessions, it is a credit to the directors, Paul Crowder and John Dower, that they gave each side a fair airing of their views. More to the point, it is a testament to their search for a more objective view that they included as many subjective ones as possible. Check out Franz Beckenbauer’s and Carlos Alberto’s more diplomatic responses, and compare that with Giorgio Chinaglia’s, who may well have landed a role on ‘The Sopranos’ without having to break a sweat. Steve Ross, arguably the prime character in this, has unfortunately passed away, but they got his son in his stead. Even Rodney Marsh was interviewed, and he didn’t even play for the Cosmos. Nevertheless, this very holistic perspective allows you to consider the whole phenomenon from all angles. This is where the music and the rhythm helps. First of all, it has to be noted that this documentary almost played out like a musical of sorts. From the beginning to the end, I can count the minutes we went without music using all the fingers and thumbs on both my hands. For the most part, they help to set the tone, and chosen as they were from the same era, this is how we get more than just a hint of what things must have been like back then. Not so long ago, I wrote about how music can be used as a time machine, and for this film, the filmmakers manage to successfully transport us back to that era. With regards to the editing, the music also helped to set the rhythm of the film. Images were started and ended on cue with the beats of the respective songs and scores. This led to a smoother viewing experience than most films I’ve seen recently. Then again, it could well be a victim of documentary genre process, when many films are editing with the music in mind, rather than having the music composed to the images being edited. A final prop I want to give in this area is to do with the selection of songs. In addition to being rhythmically suitable, the lyrics also help to tell the story in another way. Songs like I Believe in Miracles, The Boss and Summer Madness was included; if I recall correctly, Sparks This Town Ain’t Big Enough for the Both of Us was used for the segment which pitted Chinaglia and Pele against each other. Held together by Matt Dillon as the narrator, it demonstrated many levels of storytelling told with flowing rhythm and nostalgic hues. Chinaglia is quite clearly cast (by others and himself) as the antagonist here. While not without justification, he outshone the golden boy Pele, becoming the highest scorer in the history of the North American Soccer League. In short, the perfect villain, who believed himself to have been wronged by others when all he had done is what others would have done in his stead. There is a part of the film when it was explained why Pele, arguably the most significant figure not only here but also in American football history, declined to take part in the film. The text ‘Declined to be interviewed’ popped up, and we hear the resounding sound of a cash register in the background. Brilliant. As an aside, the New York Cosmos started up as a club again a few years back. This time, they seem to have a more measured purpose in mind, with Eric Cantona as their director of football and Marcos Senna as their designated player. I hope this will lead to a more sustained existence this time around. Fikri is quite pleased he thought of the Cosmos (cost most) pun. He’s sure he can play around with it a bit more.